Nicky has extensive experience working on a range of projects predominantly related to the healthcare and residential sectors. Healthcare projects have ranged from bespoke new primary care facilities to refurbishments and conversions. Since joining QAD in 2008, Nicky has helped to successfully deliver a number of Primary Care schemes as the Project Architect liaising with a range of disciplines with the most recent project completed at Crossgates Medical Centre in June 2015. Residential experience ranges from master planning and feasibility studies to bespoke developments including conversions and work to Listed buildings. 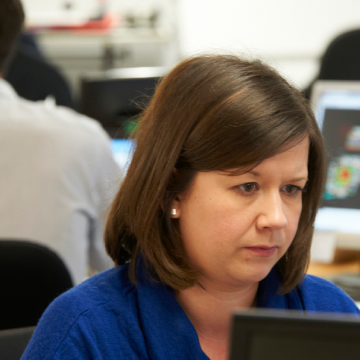 As a Director of QAD Architects, Nicky is committed to providing high quality design solutions and a service that aims to ensure the successful delivery of projects for our clients. Nicky has helped to develop the Quality and Environmental systems for QAD and ensure compliance with the ISO 9001 and ISO 14001 standards. Favourite Place: The temple of Poseidon at Cape Sounion in Greece. The approach up the hill gives glimpses of the temple and once at the top the views along the coastline and atmosphere are spectacular. Although a ruined structure you can still see the detail and craftsmanship that went into creating such a special place. Watching the sunset through the temple is breathtaking and truly beautiful.